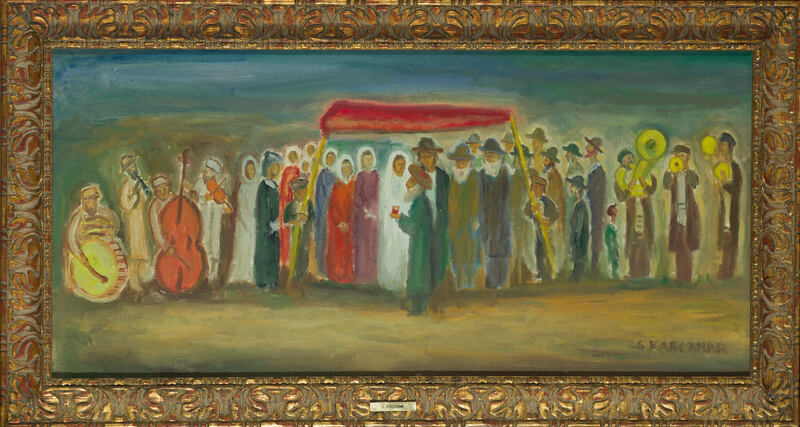 Simon karczmar (poland/israel c. 1965) wedding scene. Oil on canvas. 39” x 18″estimate.